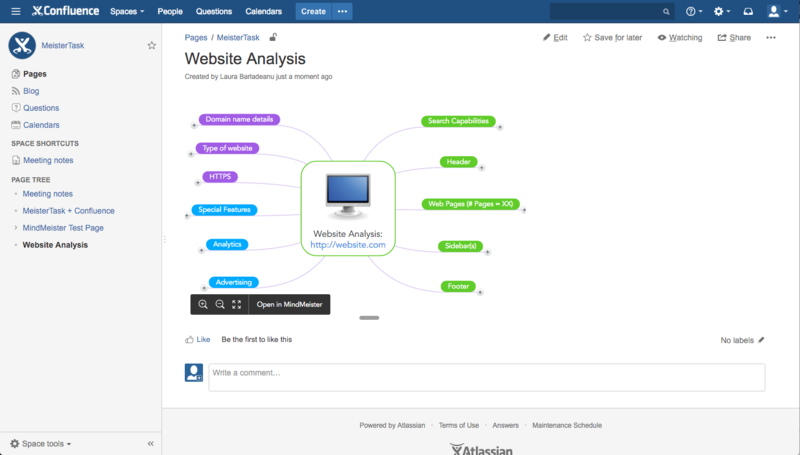 Step 1: Get the MindMeister add-on from the Atlassian Marketplace. Step 2: Open one of your existing pages or create a new one from your Confluence dashboard. 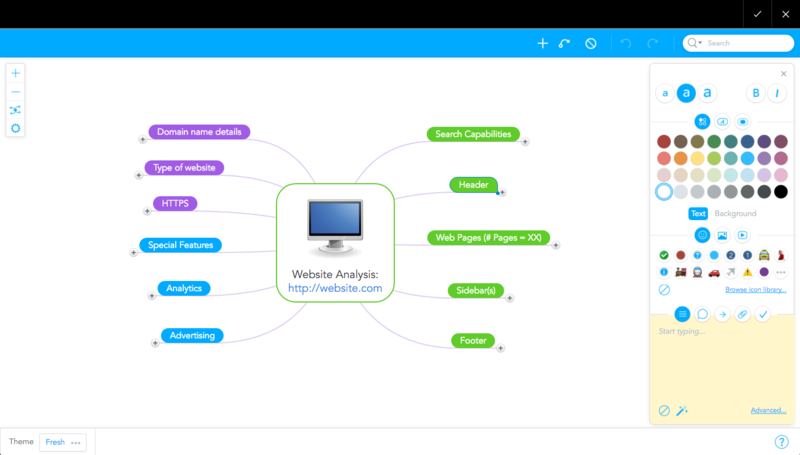 Step 3: Click on the + button in the top bar of your page editor and select MindMeister Mind Map from the menu. Step 4: Follow the instructions to either connect your existing MindMeister account or quickly create a new one for free. Step 5: Choose between inserting an existing mind map from your account or creating a new mind map. You can create new maps from scratch or use one of our handy templates for a quick start. Step 6: Once you’ve clicked the Insert button, MindMeister’s editor will open in your Confluence window and you’ll be ready to start mapping. Note that we’ve removed a number of non-essential features from the editor to ensure maximum speed and simplicity for Confluence users. When you’re done, just click the checkmark in the upper right corner to finish the session. Step 7: Choose the width and hight for the embedded mind map and confirm with Insert. Step 8: Add additional information to your page such as notes, tasks or a team calendar, and click the Save button once you’re all done. Your finished page will feature an interactive mind map where you can easily zoom in, pan to relevant areas, open and close branches, click on attached links and more. You can re-open the map in MindMeister to update it anytime.